Deep black, tremendous brightness, impressive sharpness and of course HDR compatibility: these are the attributes of the new series of beamers presented by JVC last year. 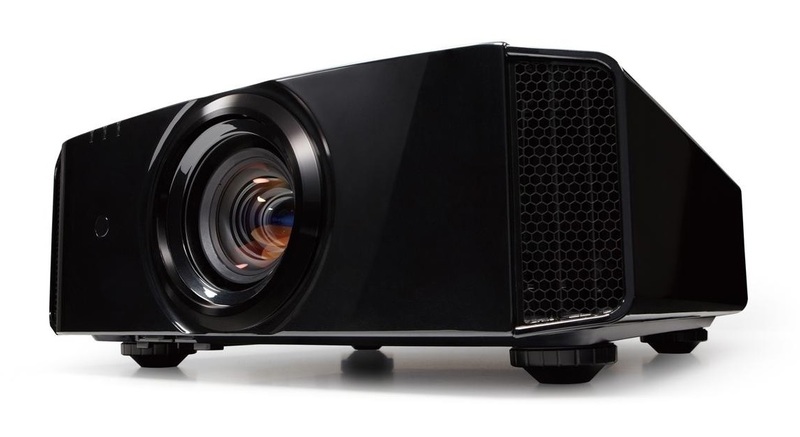 As with the predecessor models, these projectors also use D-ILA technology, which is known for true-to-life 4K images. With the high-end projectors, the Japanese introduced three new models on the market: The small DLA-X5900 and the medium DLA-X7900 are available in black or white. The conclusion is the DLA-X9900, which offers the greatest luxury and was composed of strictly selected components. The last-mentioned projector with 2000 lumens has the highest brightness of the three and the contrast range is logically the largest. He has a glossy black finish and just like the middle brings the large model with an automatic lens protection. The main features of the new projector generation from JVC are the high light output and the impressive contrast range. Noteworthy is the HDR compatibility – paired with Hybrid Log-Gamma, which is particularly suitable for online streaming services and future TV broadcasts. Natural images, improved image sharpness, and higher detail resolution are demonstrated thanks to the 5th generation of 4K e-Shift technology, while Motion Enhance optimizes images to effectively reduce motion blur. In addition, the new devices have an auto-calibration, which provides relief under different projection conditions. Different modes now switch automatically, depending on the signal. For example, in standard image mode, various settings for 2D and 3D are managed. One of the greatest innovations of the new X-Series, however, is obviously the Low Latency Mode: Gamers can have even more fun playing with almost no time delay. The sharp lens offers a considerable adjustment range for shift and zoom. Distortions and vignetting are almost completely a thing of the past, even in the maximum wide-angle range. Colour temperature, gamma curves and the like were created in presets, which makes handling much easier. Noteworthy is, of course, the intermediate image calculation (Clear Motion Drive) of the projectors, which has been polished compared to the previous models. It also works very well with 4K and HDR. In this context, one should also look again at the 4K preparation – also called eShift. Not least, it is positive that the operating noise can be described as inconspicuous. The projectors are controlled by the infrared remote control. This has, unlike its predecessors, no rubberized surface more. Compared to the older models, however, the ports have not changed, which means that there are still no analog video inputs. Otherwise, there are two HDMI ports for all resolutions, which are equipped with HDMI 2.0 including HDCP 2.2. The projectors UHD Blu-ray are compatible on both HDMI inputs. One RS-232 and one LAN connection are used to operate the devices. There is also a 3D synchro socket for which a radio transmitter can be purchased. Which home theatre fan does not dream of lifelike, high-resolution images and brilliant detail? Whether bright lights or dark shadows – the new projectors from JVC convince thanks to their 4K e-shift5 technology. See for yourself in our home theatre studios!